Written by: Beth Hamilton, Product & Marketing Manager. 1. Although I may be my parents IT staff, I do not consider myself an IT person. Fixing their phone or helping them navigate Microsoft Excel does not count as IT! 2. I am a millennial so I have grown up understanding and using new technology every day. 3. I have spent the last 6 years of my career in tech companies & I have spent a lot of time with techies learning the ins and outs of technology. 4. 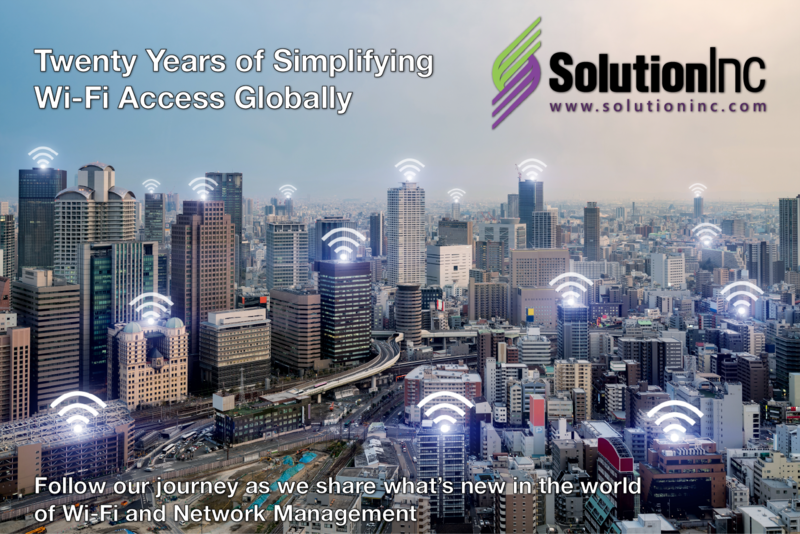 I had no idea what an access point (AP) was until I started with SolutionInc in January. Now that you know a little bit about me, I’m going to share my experience with installing an access point at a customer site today. We went on site today to complete the installation of our authentication portal, analytics engine, and site services to a local customer. In case you don’t already know, an access point (AP) is a hardware box that is used to create a wireless local area network (WLAN) by connecting to a wireless router (what you get from your internet service provider). AP’s allow users to roam around your facility without service interruptions and can also be used to track usage. We took along a Cisco Meraki AP and a tool box to get the install under way. It’s pretty simple! 1. We choose a location out of the public eye (don’t want it being stolen & sold on eBay) to set it up. 2. We took the AP out of the box. 3. We used a POE injector and took a cable from internet modem and plugged that into the “IN” slot on the injector. 4. We then used a second cable and connected it into the AP sing the “OUT” slot. 5. We walked around the building testing the internet connection to make sure that we still had excellent coverage everywhere that we were. 6. We chose a spot on the wall and made 4 little holes to mount the AP to. We made sure to choose a location that wasn’t obstructed by a lot of other pieces of technology and central to the building. This AP is designed to send wireless coverage in all directions so being in the middle of the building would provide us with the most even coverage throughout the space. 7. We mounted the AP & were on our way! Our authentication portal was already designed & ready to roll so the site was ready to offer free Wi-Fi for all its patrons. Something that sounded intimidating and foreign to me before seems so simple now! I think the most difficult part was choosing a location where staff wouldn’t move/remove/block. You don’t always need your IT support… Unless you’re a millennial son or daughter helping out your parents, in which case, welcome to the club!